Castel del Monte is a window in medieval design science. The castle was the realization of a medieval proposition in structural design using geometry as the engineering science. The medieval architects saw in the geometric forms and properties of the octagon the means to unfold a detailed ground plan and synergistically resolve cross-vaults structural issues, a Godsend proposition. A study of the ground floor layout shows the surprising role that geometry played as a catalyst in the medieval design planing for Castel del Monte; a much more extensive and organic role than previously theorized. Most surprising is how a detailed ground plan is derived geometrically from a simple square, an amazing algorithm. The study findings include: (1) a geometric design algorithm that reproduces the plant design in all details and measures; (2) a discovery of the unit of measurement used in the design and construction; (3) a solution to the tower irregular octagonal forms; (4) the provenance of the spandrels discovered by H. Götze; and more. 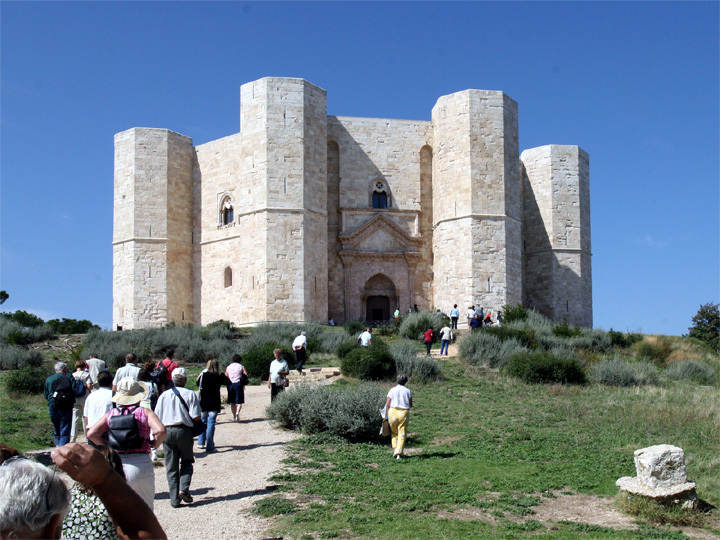 Visitors are fascinated by the geometric forms of Castel del Monte. Most striking are the geometrically perfect walls of the towers, denuded of any decorative features. The plain rise of these walls directs the spotlight onto the ground plant, which is the gemstone in the castle deasign. An enticing question is how these geometric forms came together and gave rise to such a marvel. This new study of Castel del Monte unveils the actual design methodology. Castel del Monte is the most scientific design project at the height of the Middle Ages, not just another work by skilled builders. Castel del Monte, "Geometric Marvel of the Middle Ages"
This website also includes a collection of other treasured works.